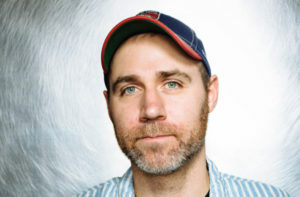 Benji Rogers is the co-founder and chief strategy officer of PledgeMusic and the lead musician behind the band Marwood. A public speaker, investor, and musician from London and New York, Rogers was the recipient of the A&R Worldwide “Digital Executive of the Year” award, and in 2013 he was named to Billboard‘s 40 Under 40 Power Players list. Digital Media Wire had the chance to ask Benji some questions about PledgeMusic, the music industry, and the role of blockchain in this new model. Below is a recording of Benji’s responses along with a transcription. What problem is PledgeMusic out to solve? When I first had the idea for Pledge, what I realized was that, as an artist myself, there were fans of ours that wanted more. They wanted a deeper experience than just the CD or the t-shirt or the show, and they would come up to me and the bandmates after shows and be like “I want to be a part of this, I want to engage.” There was really nothing that you could do other than sign stuff or in-the-moment experiences. So the concept behind Pledge was to unlock the super fan potential. The direct results of launching the platform has meant that we see that there is this subset of the fan base that we call the “super fans” that are willing to spend an average of $55 per transaction to be a part of the making of an album. So basically they don’t need the album to exist, they don’t need the album to be finished or packaged, they just want to be a part of it as it comes into creation. I think it really fits in line with what Nick Bilton defined as this generation of consumer-creators – those that view themselves as being part of things – and that’s an experience for which they are willing to pay. Also, Mark Mulligan from MIDiA Research identified that 17% of all music fans identify as super fans and that they are responsible for 61% of the revenue. So the problem Pledge set out to solve was, “How do you give the fans a better experience that they are willing to pay for at a higher price point and when is the best time to do that?” It turns out it is during the making of the album, so how do you execute and deliver on that? Really, it’s about finding untapped revenue in the music industry. And there was a study by Neilsen called “The Buyer and the Beats” that identified up to $2.6 billion a year in the US alone which could be unlocked provided that super fans could actually buy things that they wanted at the price point. I’d say that today 99% of music releases are released in a way that does not allow for deeper fan engagement or for deeper fan spend, and that is a crime in every way. What are some of the biggest challenges PledgeMusic faces? I think a large part of what we faced early on was just explaining what I explained in question one. Which is that, it seems strange that there were these fans that wanted more. It seemed strange that there were, to a traditional release, that people wanted more than just say a $9.99 a month download or to buy something off Amazon. The music industry traditionally did not take care of its data in regards to super fan data and therefore was kind of left flat-footed. Our biggest challenge was to translate that there were these super fans out there who did want to pay and that it was a good idea to work with us because we are not only building an artist-to-fan communication tool but also a platform and a community around the experience of it. So when someone goes to PledgeMusic to view their band that they are interacting with, they will come across others. The cross-pollination has been a big data piece, it’s a big technological piece, and also it’s a big translation piece because the traditional music industry would prefer a one-size-fits-all bolted out through traditional streaming or retail outlets and we’ve found a better way. I think it’s just the challenge of any new business just trying to gain a foothold in an industry that is entrenched in a very traditional way of thinking. What benefit does PledgeMusic provide to the artists it works with that is difficult for them to find elsewhere? Largely it’s the extraordinary women and men that work with us that make these campaigns actually come to life. The other side is the extraordinary fans who are now, with the addition of Set.fm and Noisetrade, three million strong. So we are a community of three million super fans and about sixty thousand artists, all of whom come to the platform for the making of these projects. If your album or EP or tour or video is not in that mix, then those super fans that we’ve gathered into one place just simply won’t be able to see it. Or you’ll have you retarget and remarket to them elsewhere. So the network effect of the platform itself brings in around 33% of sales on average for artists. We’ve also got some pretty amazing social networking tools. But I come back to that concept that what the brains that designed the platform have put into it – our product team, our campaigns team, all of whom have a large part to play in the platform’s evolution – the learning and the education and knowledge that we’ve put into it and the ability to work with us is a huge, unique selling point. That’s where the super fans are, so rather than avoid them, I say go to them. How can the blockchain revolutionize the music industry? I don’t know that the blockchain itself could revolutionize the music industry. Adoption of blockchain protocols and, if we get it right, the dot blockchain music project itself, will change the fact that we can have one central distributed place to know who owns what and where. Today there are between 150 and 200 separate databases, all of them privately owned or conglomerate owned, and none of them speak to each other. It’s sort of a madness that we can register songs without needing the recordings of them – that type of thing. If the music industry or, I’ll be optimistic, when the music industry adopts either the dot blockchain music project’s format or another standard that emerges on top of it or in concert with what we’re working on, on the dot blockchain side, it will revolutionize it because it will be a central distributed repository owned by nobody, maintained by everybody, with hierarchical permission structures built in that will allow for the near real-time update of ownership information. That will allow for frictionless payments to emerge, smart contracting systems to emerge – not that we’re there yet – but for the registration side and for the actual knowing who knows what and how to contact and pay them, it will be an absolute revolution. Luckily it’s something that, since I published the first blog to the last one, has gotten great traction. Stay tuned, for the next couple of weeks we’ll have something to look at. Just for fun, what artist do you currently have on repeat? The way that I listen to music is that I use Google Play and I have this massive playlist on there called “Ahh Yeah” which is not indicative of my current on-repeat because it’s pretty eclectic. What I’ll do is tell you some of the newer ones: Julien Baker, awesome; I’ve had Applewood Road on repeat quite a lot; I’ve been listening to the Afghan Whigs’ album 1965. Benji Rogers will be speaking at Digital Media Wire and Concurrent Media‘s inaugural RightsTech Summit in NYC on July 26. Purchase tickets here.